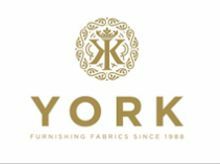 Established in 1988, York is a leading wholesale distributor of indoor and outdoor furnishing fabrics in the Middle East. Its substantial warehousing facilities position the company as one of the largest stockists of fabrics in the region. York’s products are available only in premium categories, and are targeted at high end retailers, interior designers, and upmarket hotel chains. The company has partnered with some of Europe’s leading designers and manufacturers of fabrics, who supply exclusively to York in the region. Copyright © 2019 HavenVest | All Rights Reserved. HavenVest Private Equity Middle East Limited is regulated by the Dubai Financial Services Authority.